When I first came to the Netherlands in February 2015, I was taken aback by the lack of lunch meals in the University cafeteria. Basically, there are none. Or lets say, there are mostly crocettes (which to me are best described as a different shaped variety of Bitterballen), fries, some varieties soups and sandwiches. That’s it. 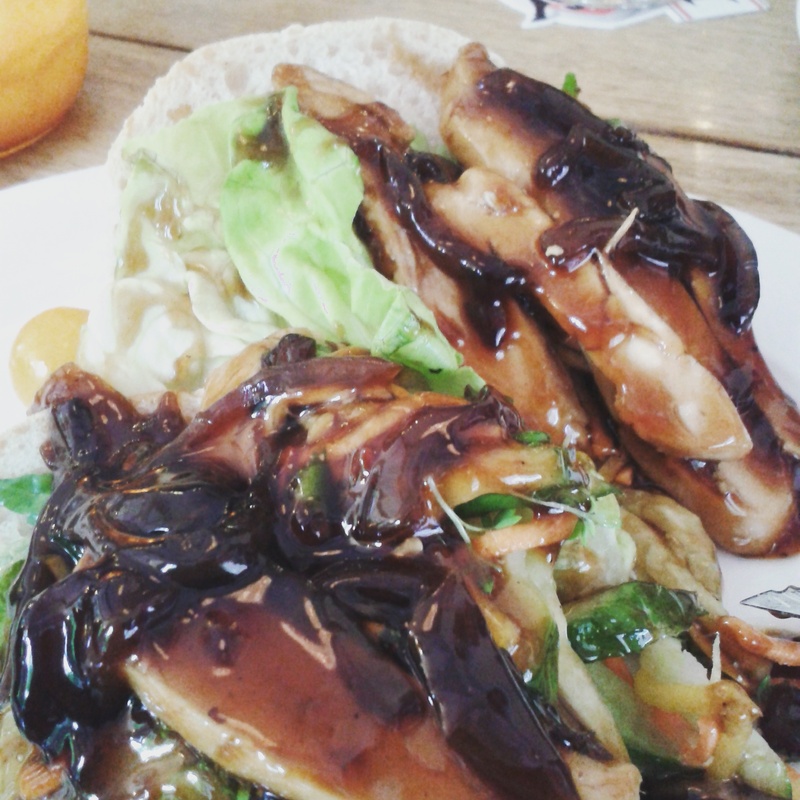 And for me, being used to some kind of warm, balanced meal for lunch, this was new territory. Unfortunately, the cafeteria café in the library was not that resourceful and creative in their menu planning, thus leaving me with the impression that Dutch lunches are mostly bland and boring. 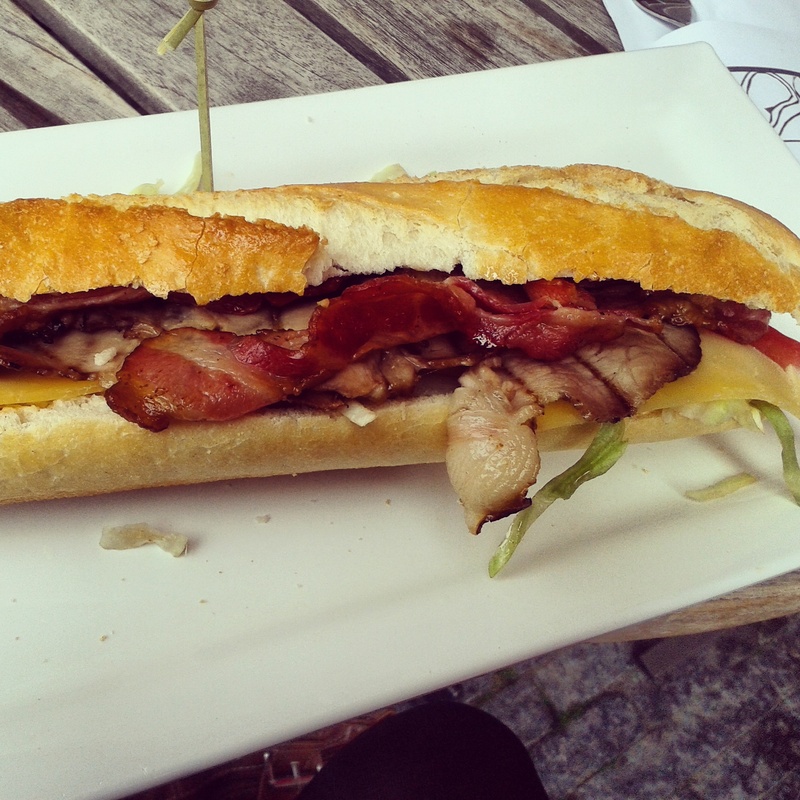 Hearty sandwich with pulled pork, bacon, cheese, lettuce and cocktail sauce at De Beurs, Utrecht. sometimes breathtakingly creative. And very reasonably priced. A bar that is well frequented by students during lunch time as well as in the night (amazing 15 Euro 3 course meals). Walden is located right next to the dome and offers lunch sandwiches, including a drink for 6 or 7 Euros, such as carpaccio with Grana Padano and pesto sauce or a sandwich with chicken, mangochutney and chili mayonnaise. 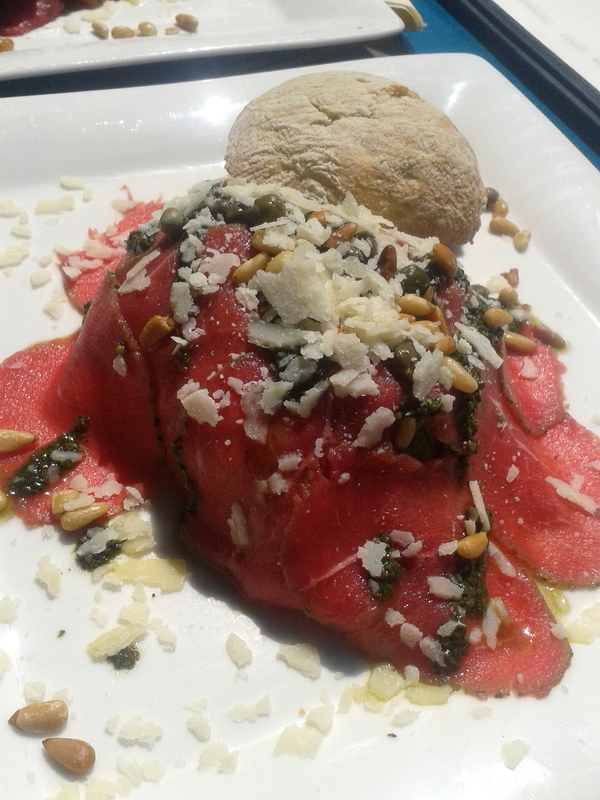 Beef Carpaccio with Grana Padano, pine nuts and pesto sauce. 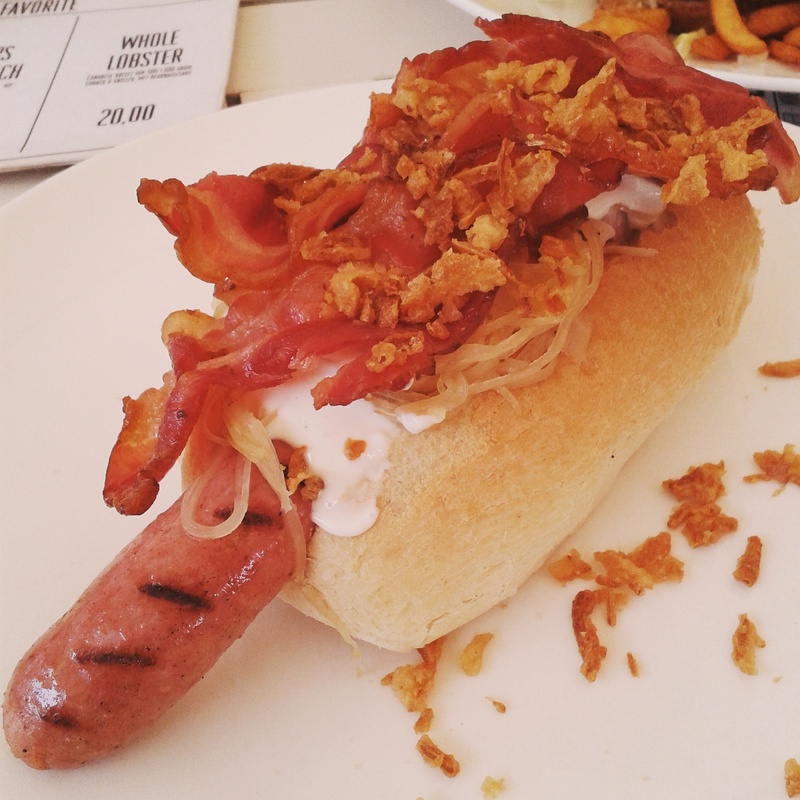 De Beurs version of a hot dog with self-made sausage, coleslaw, roasted onions and bacon. A wonderful little café located at the edge of Wilhelminapark, which, quite frankly, is one of the nicest parks I have seen anywhere I’ve been so far – so it’s worth a visit! The café does not only offer a beautiful area to sit outside in the sun and observe the bicycle madness going on around you but you can enjoy some of the best sandwiches in Utrecht there as well. You might need to wait for service for a while or very actively catch their attention, but their really friendly and the food is worth the wait. 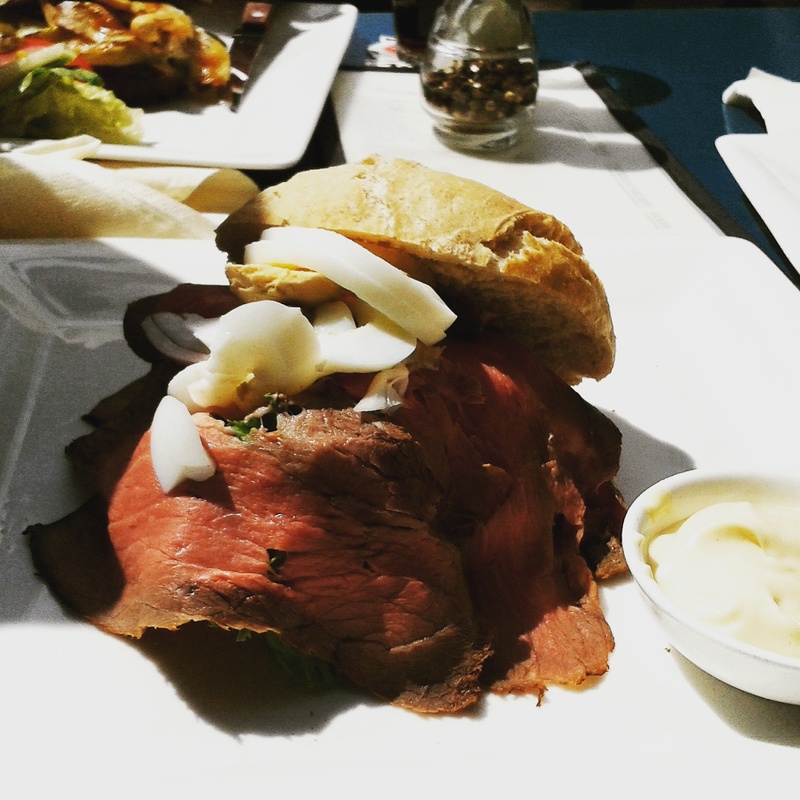 Roastbeef sandwich with eggs, onions, capers and garlic mayonnaise at Parkcafé Buiten, Utrecht. Sooo…in conclusion, yes, they may “only” eat sandwiches for lunch, but well, they’ve managed to elevate their brodjes so that even my grandmother was attacking her sandwich with goatcheese, honey, beets and nuts with a youthful and excited vigor I only ever see people displaying when they’re eating their grandma’s food – and grandma always knows best when it comes to food. 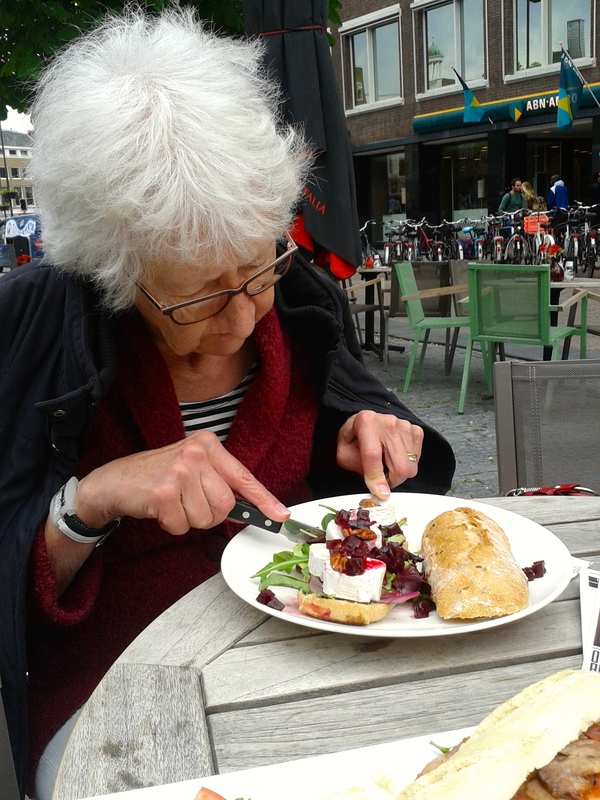 My grandmother eating a goatcheese sandwich with beets, honey and nuts at De Beurs, Utrecht. I used to live in A’dam and miss the brodjes sooo much! My fave was the filet Americain at Van Dobben- which, I have to add, I’ve never seen in America (being an American) LOL.